JOURNAL, Talkin' Broadway review and Preview Article here! 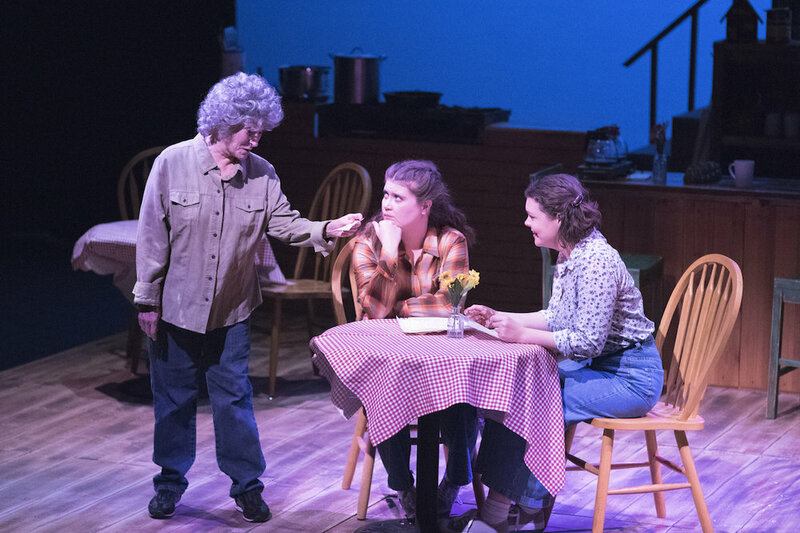 In this Off-Broadway musical a feisty parolee (Percy) follows her dreams, based on a page from an old travel book, to a small town in Wisconsin and finds a place for herself working at Hannah's Spitfire Grill. It is for sale but there are no takers for the only eatery in the depressed town, so newcomer Percy suggests to Hannah that she raffle it off. Entry fees are one hundred dollars and the best essay on why you want the grill wins. Soon, mail is arriving by the wheelbarrow full and things are definitely cookin' at The Spitfire Grill. 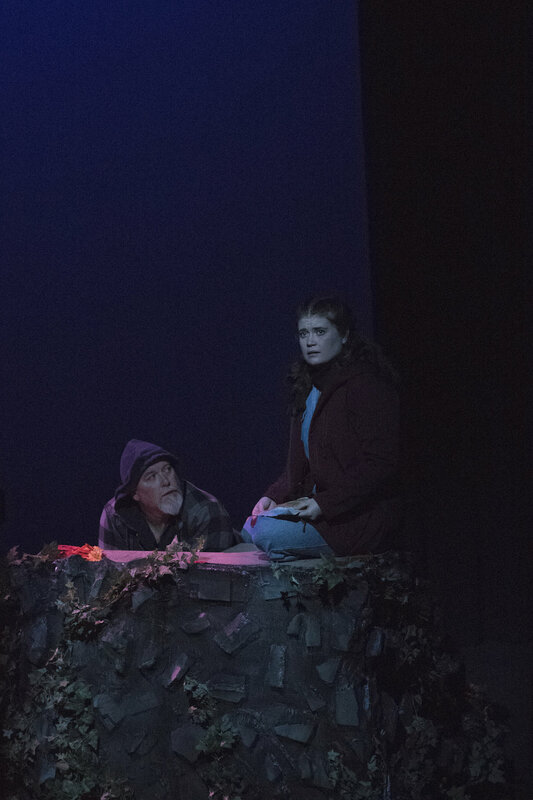 Authors James Valcq (Music & Book) and Fred Alley (Lyrics & Book) had been friends since high school music camp in 1980, but it wasn’t until 1994 that they collaborated on The Passage for Alley’s American Folklore Theatre in Wisconsin. New York-based Valcq was seeking a follow-up project for the pair after his Zombies from The Beyond closed Off-Broadway in 1995. They wanted to create a piece of populist theatre with elements of myth and folktale. Upon seeing the film The Spitfire Grill, they had found their vehicle. Actual writing of the musical commenced in October of 1999. A demo tape of a few songs from the score found its way to David Saint, Artistic Director of the George Street Playhouse in New Jersey. 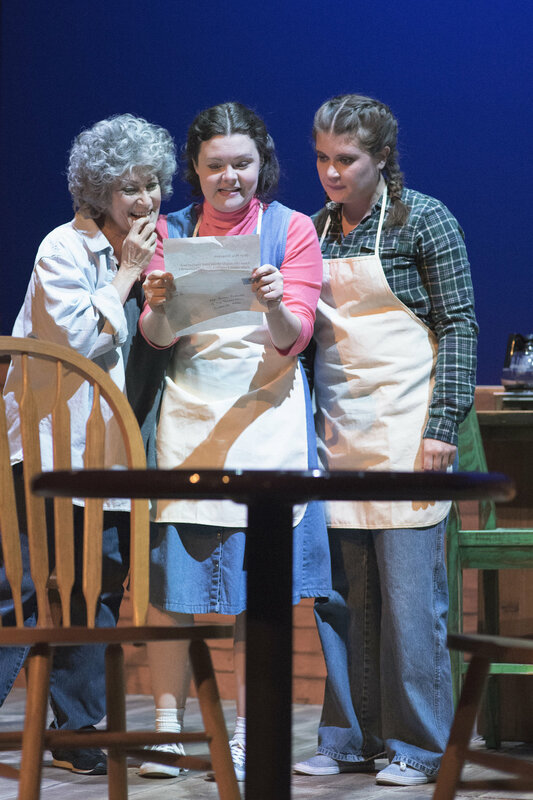 The theatre presented a workshop of the show in June, 2000 featuring Helen Gallagher as Hannah, and produced the world premiere production in November 2000 featuring Beth Fowler as Hannah. Throughout the process, Arthur Laurents mentored the creative team, encouraging them to find their own emotional truth in the material. The ending of the musical is entirely different from the ending of the film. Ira Weitzman, Associate Producer of musicals at Playwrights Horizons, and Tim Sanford, the Artistic Director, saw the George Street production and announced that The Spitfire Grill would open the 2000-2001 season at Playwrights Horizons after a May workshop. Tragically, one week before the workshop, Alley suffered a fatal heart attack while jogging in the woods near his Wisconsin home. He died at the age of 38. Two weeks later, The Spitfire Grill was presented with the Richard Rodgers Production Award. Stephen Sondheim chairs the committee that chose the The Spitfire Grill as the winner. The remainder of the group comprised Lynn Ahrens, Jack Beeson, John Guare, Sheldon Harnick, R. W. B. Lewis, Richard Maltby, Jr., and Robert Ward. The Off-Broadway production featured Phyllis Somerville as Hannah, Garrett Long as Percy, and Liz Callaway as Shelby. It was directed by David Saint. 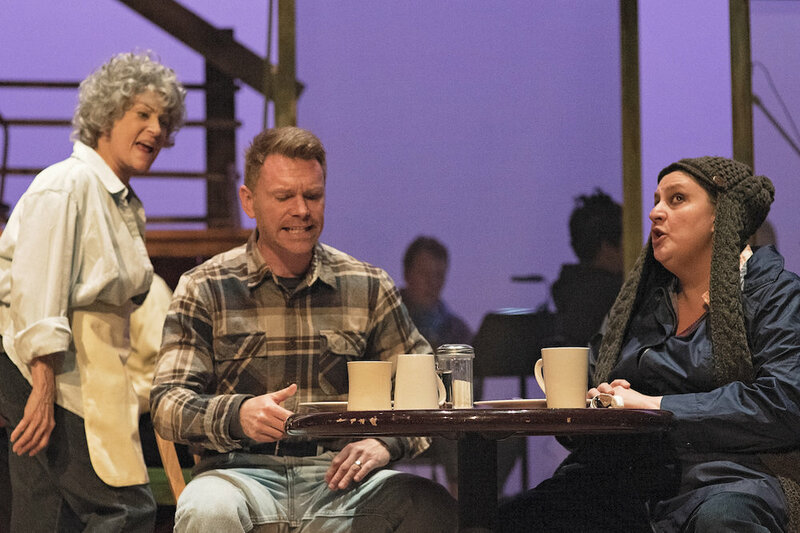 The show received Best Musical nominations from the Outer Critics Circle and Drama League, as well as Drama Desk nominations for Garrett Long as Outstanding Actress in a Musical and Liz Callaway as Outstanding Featured Actress in a Musical. 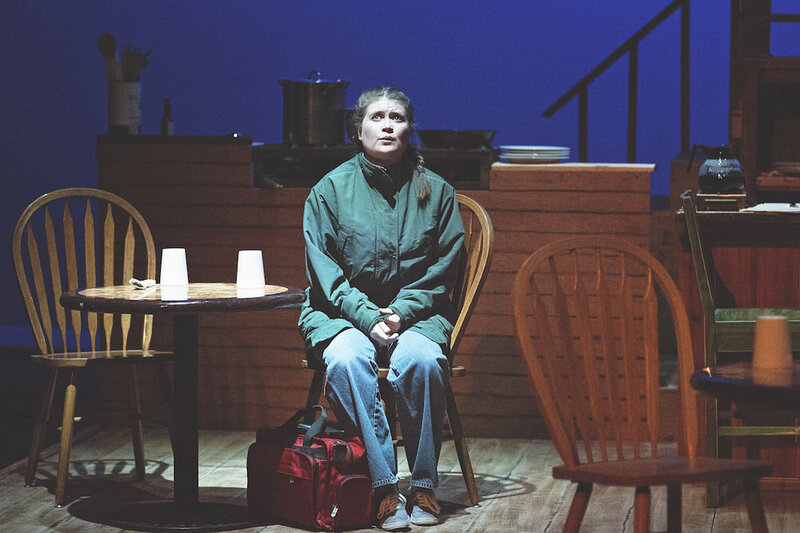 Since the Playwrights Horizons production, The Spitfire Grill has been produced over 300 times in regional theatres as well as in community and school productions. Foreign language versions have been produced in Germany in 2005, in South Korea in 2007, and in 2009 in Tokyo. 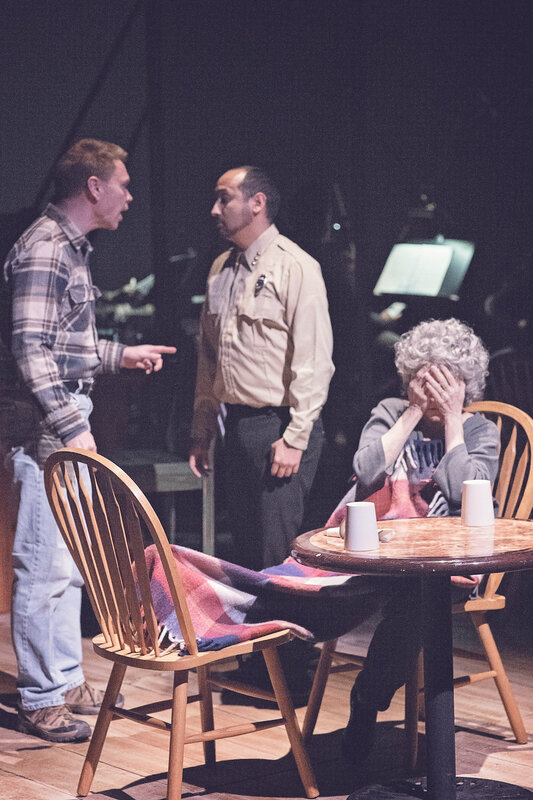 Notable American versions include a co-production by American Folklore Theatre (founded by Fred Alley) and Skylight Opera Theatre (2002) which featured Phyllis Somerville as Hannah, the West Coast premiere at Laguna Playhouse (2002) which won the OC Award for Best Musical, and the Idaho Shakespeare Festival production in 2006 which was conducted by James Valcq. The show continues to conquer new continents with additional international productions. In August 2008 The Spitfire Grill had its UK premiere at the Edinburgh Fringe Festival in an acclaimed production by the Royal Scottish Academy of Music and Drama, and the Australian premiere will take place in 2010. ▪ The New York/Off-Broadway Production received an Outer Critics Circle Award nomination for Best Off Broadway Musical. ▪ The New York/Off-Broadway Production received a Drama League Award nomination for Best Off Broadway Musical. ▪ The New York/Off-Broadway Production was nominated for two Drama Desk Awards: Outstanding Actress in a Musical (Garrett Long) and Outstanding Featured Actress in a Musical (Liz Callaway). ▪ The Washington DC production received 2 Helen Hayes Award nominations. ▪ The Los Angeles production received a Dramalogue Award nomination for Best Musical. ▪ The Laguna production won the OC Award for Best Musical. 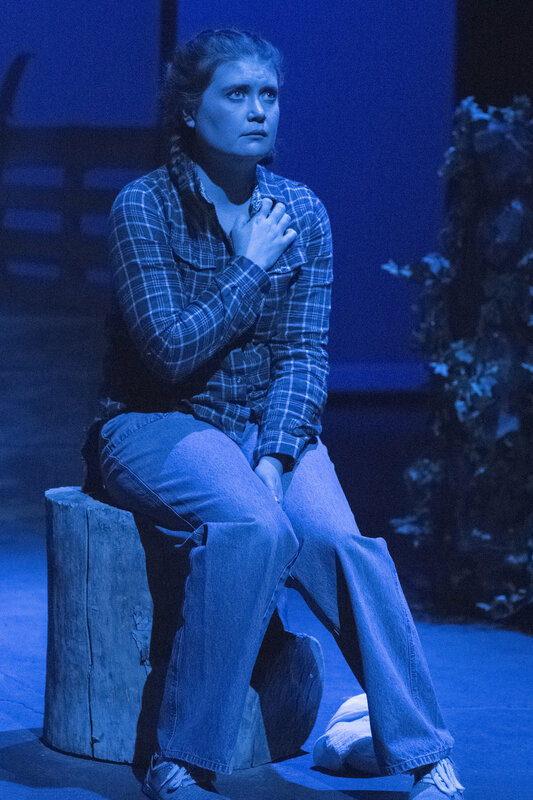 Actor Misty Cotton (as Percy) received a nomination for Best Performance in a Musical. ▪ The Chicago production received 3 Joseph Jefferson Award nominations. ▪ The San Francisco production won the Bay Area Critics Circle Award for Best Musical. ▪ The Dallas production received 4 Leon Rabin Award nominations including Outstanding Production of a Musical, and won 2. ▪The Florida production received 3 Carbonell Award nominations.